FRAnny is based on an artificial intelligence and a cloud-based voice-user interface (VUI) that can be deployed in a variety of forms – including in chatbots, voice assistants and robots. This digital customer service system was developed by a team of Deutsche Bahn IT experts. Usingdata drawn from the airport’s information system, FRAnny is able to understand and answer questions relating to travel, airport facilities and more. In addition to providing flight information, FRAnny is well versed in small talk and can communicate in German, English and seven otherlanguages. 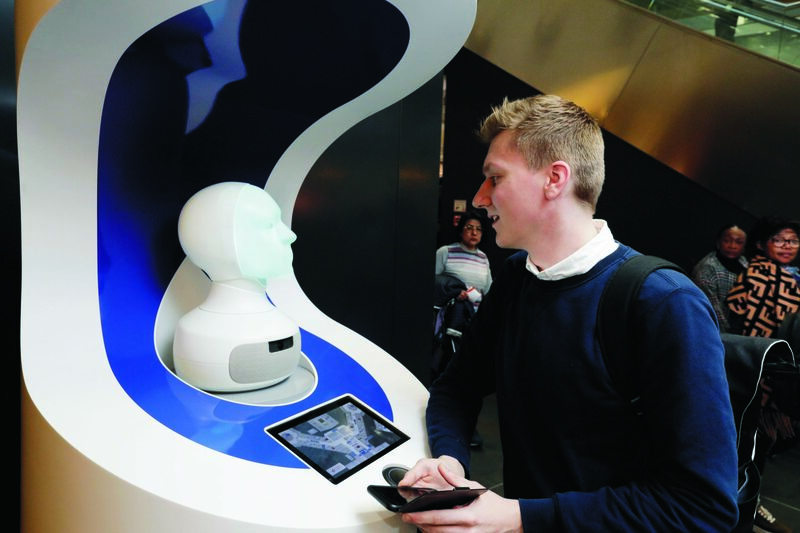 Fraport and Deutsche Bahn have been jointly exploring the potential of artificially intelligent, voice-based customer service systems since 2017. The first pilot took place at Frankfurt Airport in spring 2018 using FRAnny’s predecessor: the four-week field trial was very successful. After approximately 4,400 interactions, 75 percent of passengers ratedtheir exchange positively. Based on the feedback received, both the artificial intelligence (AI) component and the robot’s user interface were further improved. The more recent trial underscores both companies’ commitment to ongoing innovation in artificial intelligence and robotics. Moreover, it puts the implemented improvements through their paces under real-world conditions.